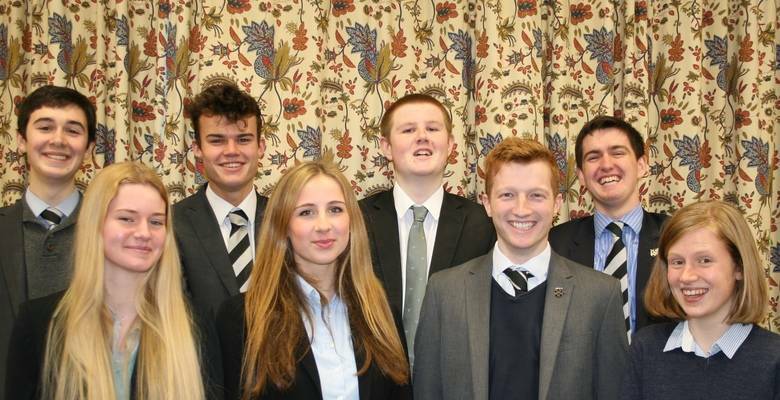 ​Congratulations to the eight KGS candidates who have managed to secure offers of places at Oxford and Cambridge colleges. Competition, as always, was exceptionally fierce, and these students did incredibly well to be win places. Three of the eight will be going up to St Anne's College, Oxford: including Duncan Green to read Maths and Philosophy and School Captain Lewis Wales to read Chemistry. Isobel Dodds is also on her way to Oxford - to take Biological Sciences at Somerville – as is Max Salisbury (PPE at St Catherine's). The Cambridge contingent are Alex Harper (German and Russian at Robinson College), Lara Horin (Japanese Studies at Corpus Christi) and Anya Williams-Doherty (Veterinary Medicine, Girton). Head Master Stephen Lehec was full of praise for the successful candidates, and the year group as a whole. “This year's Upper Sixth have surpassed themselves with their success in university applications," he said. “There is much to celebrate but I would particularly like to congratulate those who have received offers from Oxford and Cambridge. Competition, as always, was exceptionally fierce, and these students did incredibly well to be win places. We wish them, and the whole year group, the best of luck now as they work to secure the A Level grades necessary to meet the conditions of their offers."